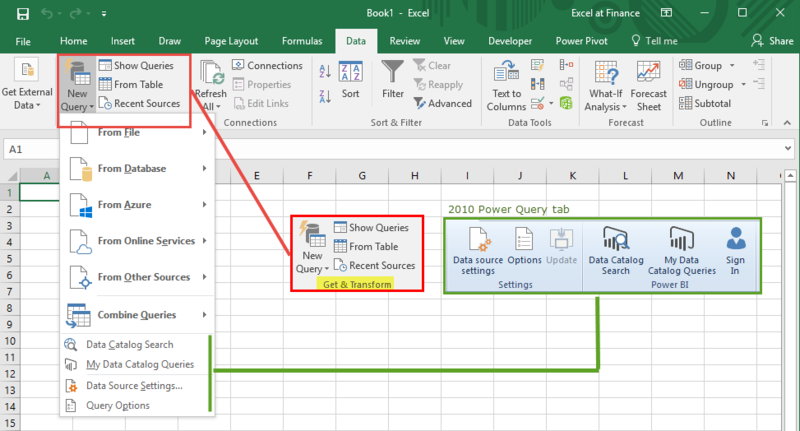 Power Query was introduced in Excel 2010 as a COM add-in. In Excel 2016, the Power Query tab has been integrated into Excel and is available in the Get & Transform group on the Data tab (figure 1b). It is no longer an add-in. The following list of ribbon tabs is provided for comparison purposes. Click the image for a full scale view.